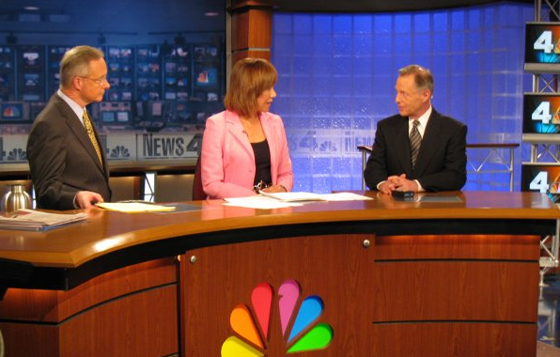 Washington D.C.’s NBC affiliate, WRC-TV, will soon launch its news in HD with a modern new set. The set is expected to be a major change for WRC-TV, moving away from its dated set with wood and glass blocks seen above. The new look includes metal, colorful walls, a large rear projection screen and many other modern elements that are similar to those seen at MSNBC and sister station WCAU-TV in Philadelphia. Look for the HD debut sometime in the next few weeks.